Xiaomi is a brand that may seem only to serve the Chinese smartphone and tablet market, but it has recently gained serious amount of popularity internationally as well. 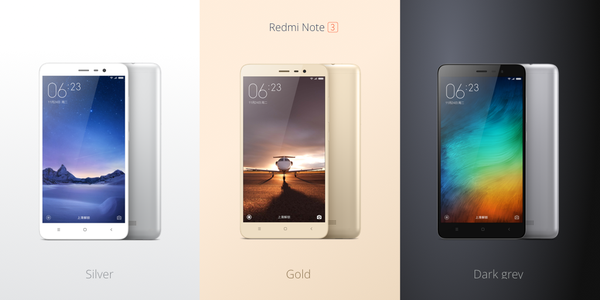 Keeping up with that repo, the company has just announced a brand new Redmi Note 3, along with new Mi Pad 2; successors to two of the company’s well known devices. The Redmi Note 2 was only announced back in August this year, and while the phone packed some above average specs for a device of its price ($125 – $156), it had a cheap look and feel to it, mainly due to its plastic body. 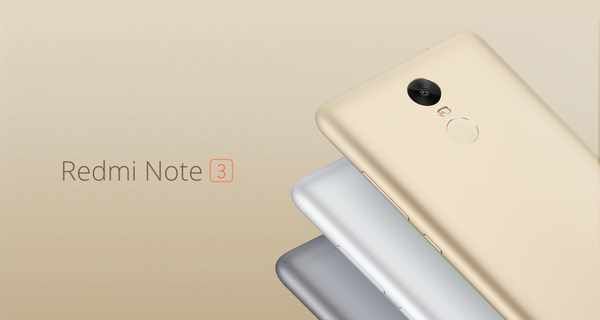 The Redmi Note 3 changes all of that with its metal and glass construction. This beautiful metal slab has been curved at the edges for maximum comfort while holding a device of its size; that is one with a 5.5-inch display. The resolution remains at 1080p akin to its predecessor, but the phone’s thickness has been shaved off making it only 8.65mm thick. Under the hood, the phone is powered by the latest Helio X10 CPU from MediaTek, coupled with 2GB of RAM and 16GB internal storage, or 3GB RAM and 32GB storage. It’s a big phone no doubt, but it’s still amazing how Xiaomi managed to pack in a staggering 4000mAh battery in there. On the photography front, you will get a 13MP primary shooter coupled with a two-tone flash. For video conferencing purposes and all those selfies you have the 5MP front-facing camera at your disposal. Lastly, you will notice a fingerprint sensor on the back – a first for Xiaomi – which will be integrated with the company’s new Mi Wallet service. The phone will be available in three colors: Silver, Dark Gray, and Gold (similar to Apple’s Silver, Space Gray and Gold?). 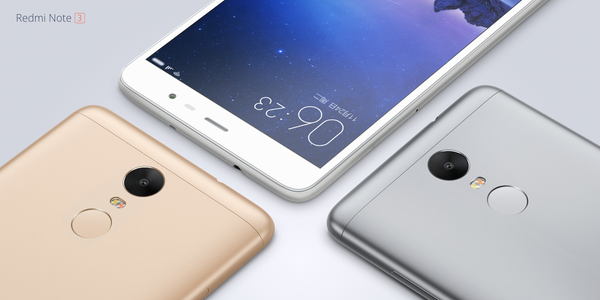 With the original Mi Pad having made some gains in the Chinese tablet market, the Mi Pad 2’s arrival was inevitable. Like the Redmi Note 3, this new tablet does away with the plastic body in favor of an all metal body and now looks even more of a iPad rip off than ever before. Xiaomi is saying that the tablet is 6.95mm thin making it not only 18% thinner than the Mi Pad, but at 38g, it is lighter as well. The 7.9-inch 2048 x 1536 display boasts a 326ppi density and is powered by and Intel Atom x5-Z8500 CPU clocked at 2.2GHz, along with 2GB of RAM. No fingerprint sensor here, but you do get a 6190mAh battery to keep the device up and running for quite some time. 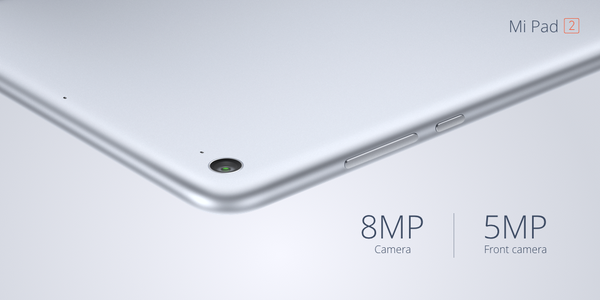 The Mi Pad 2 sports a decent 8MP and 5MP camera configuration that will suffice most needs. What is interesting though is the storage configuration with the twist attached to it. Mi Pad 2 comes in 16GB and 64GB variants, but interestingly those purchasing the 64GB variant will have the option to opt for a Windows 10 powered Mi Pad 2 instead of Android. 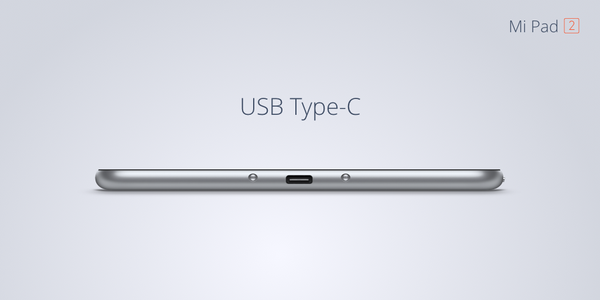 The tablet has also been given a reversible USB-C port. Mi Pad 2 will be available in Dark Gray and Champagne Gold colors. Both Redmi Note 3 and Mi Pad 2 are running Xiaomi’s custom Android skin, MIUI 7. As for the prices, The Redmi Note 3 with 2GB RAM will cost $141 (RMB 899), while the 3GB variant with 32GB storage will cost $172 (RMB 1,099). 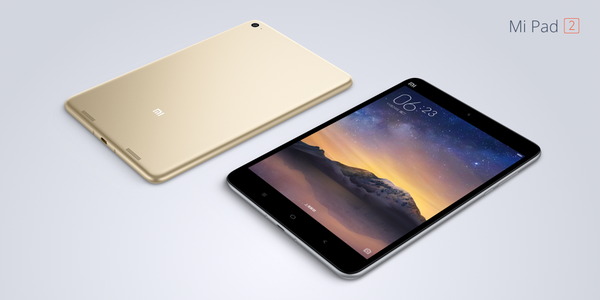 Mi Pad 2 16GB carries a price tag of $156 (RMB 999), while the 64GB variant will be available for $203 (RMB 1299). tip, don’t buy the w10 version. Sorry, why would the Android be better? I’ve got a Xiaomi Mi4 and a Nexus4, in terms of audio processing, my previous iPhone 4 kills both, try recording a video with ANY android device where you have loud music, etc… Sorry, but iPhone processes images better too… I’m happy with my Android devices in terms of bang for the price, but buying an S6 for the same price you spend on an iPhone does not worth it.